Are you struggling with learning how to program? 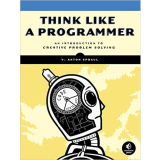 Do you read code in programming books with problems, understand basic concepts like loops, "if" statements, and functions, but then freeze up when it's time to write a program all on your own? Does it seem like other programmers have some innate gift that allows them to see the way through to a solution? Help is here. Read more.